On the morning of the Federal Budget on April 2, a giant installation was placed on the lawns in front of Parliament House, Canberra. 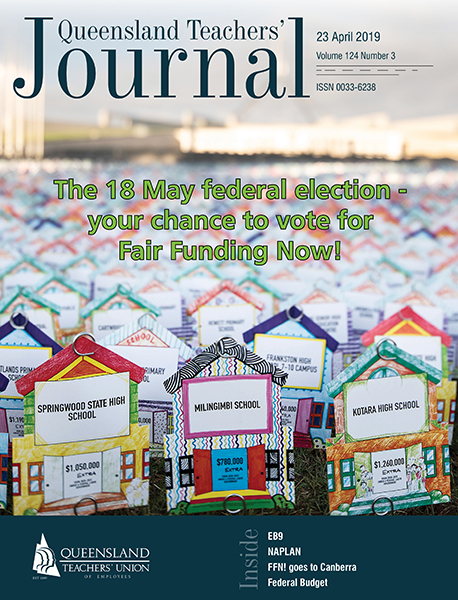 The installation was a graphic demonstration of the $14 billion that has been denied to state schools by the current federal government, with 7,000 individual schools across Australia represented by cut-outs placed in the lawn, emblazoned with the amount of extra money they would be receiving under a fair system . Federal Opposition Leader Bill Shorten visited the installation with the whole opposition caucus and re-committed to investing in public schools across the nation by restoring the funding cut by the Coalition. Many parents, teachers and school leaders have been campaigning for more than a decade to achieve a genuine sector-blind needs-based funding system for our schools. However, the politics inevitably seem to get in the way. The federal government’s current 20 per cent funding cap for state schools, in contrast to the guaranteed 80 per cent of the schooling resource standard (SRS) for all non-government schools, is the perfect example of this. The policy is not logical or fair. It is a choice the current government has made. It is not based on any constitutional or historical reasoning. It is a policy choice, pure and simple. The Fair Funding Now! campaign is about to ramp up as we approach the next federal election on 18 May. The delivery of the Budget gave the federal government one last chance, but it has failed the students of state schools across Queensland yet again by not reversing its cuts. It has failed teachers and school leaders. It has failed parents and communities. The event coincided with the launch of an advertising campaign on TV, radio, print and online (you can see the TV ad at https://youtu.be/83dGHbvHQTo). The message is clear. If the Morrison government wins the election on 18 May, our kids lose. More than at any time in the past decade, there has not been a starker choice between the two major parties when it comes to school funding. This election offers an opportunity to change the rules of school funding in a way that will change the lives of students and support the work of teachers and school leaders with proper resourcing levels that match the needs of our young people. The government continues to use the line that it is investing record amounts. This is true, given there are a record number of students in schools this year. However, what they are not telling you is that the shortfall in funding they have designed means 99 per cent of state schools in Queensland will never reach 100 per cent of the SRS, while 65 per cent of non-government schools will be funded at or above 100 per cent of the SRS in total government funding. That is before you take into account other income sources such as school fees. 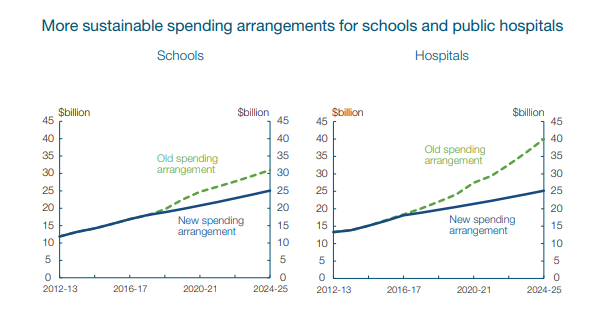 The graph below demonstrates the funding shortfall being delivered by the government. The QTU's website www.qtu.asn.au will be providing regularly updated analysis of the policies of the parties and candidates throughout the election campaign.